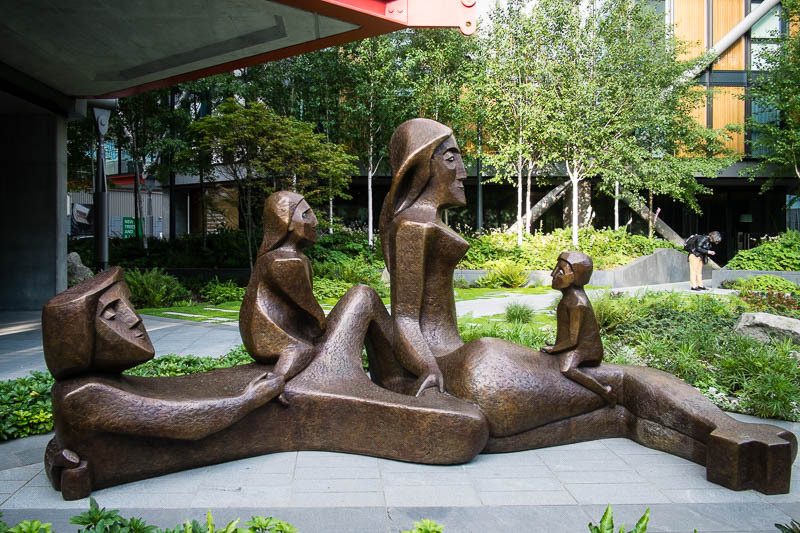 Tucked away in a small garden along the Thames path I came across this bronze sculpture of a family. A very nice sculpture. I like the modern lines. I do like the modern style. Looks like you've got a spammer. I had to think about this statue for a while. It isn't my favorite, but on balance I guess I think it is good.